The Law Offices of Susan D. Stein, located in the city of Santa Ana, California, is where Ms. Stein has called home since 1989. Ms. Stein serves clients throughout Southern California in the counties of Los Angeles, Orange, Riverside and San Bernardino, including the communities of Santa Ana, Mission Viejo, Newport Beach, Irvine, Fullerton, Orange, and Tustin. 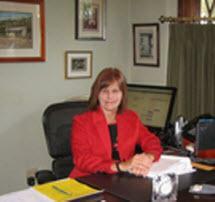 Additionally, Ms. Stein is a certified mediator and a California licensed real estate broker. Over the last ten years, Susan Stein has conducted numerous mediations, both as a volunteer and for-fee mediator, and serves on several mediation panels.